The city of Ember was built as a last refuge for the human race. Two hundred years later, the great lamps that light the city are beginning to flicker. When Lina finds part of an ancient message, she’s sure it holds a secret that will save the city. She and her friend Doon must decipher the message before the lights go out on Ember forever! This stunning debut novel offers refreshingly clear writing and fascinating, original characters. While this is more of a middle grade book, it is enjoyable. It's a sweet little story about two kids saving their city from the big bad bureaucrats. Have we read something like this before? 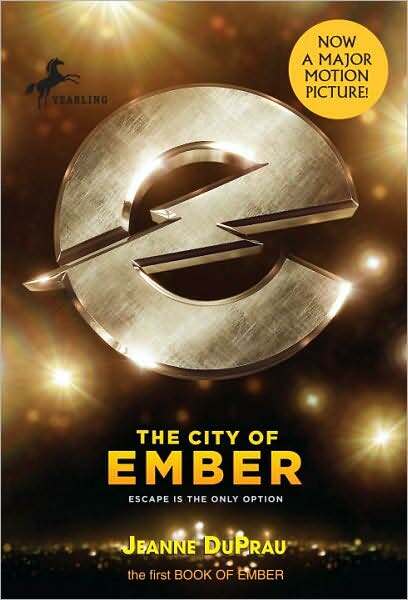 Yes, but The City of Ember puts a little different spin on the popular theme, though, what with the city being underground. It is basically like a huge bomb shelter, and it reminds me of that Brendan Fraser movie Blast From the Past a little. This is the first in a series. My library doesn't have the other books, so I probably won't be buying them, but if I could read them for free, I would. The darkness described in this book made me want to upgrade my light bulbs to brighter wattage. It was a fast read with some cute characters. Yes---probably ages 8 and up. As this is more of a children's book, I am scoring it against other children's books. A five star children's book is not equivalent to a five star adult book, in my opinion. The City of Ember was a 2 star book for me personally, but I am rating it against other children's lit and it deserves 3.5 stars for that genre. 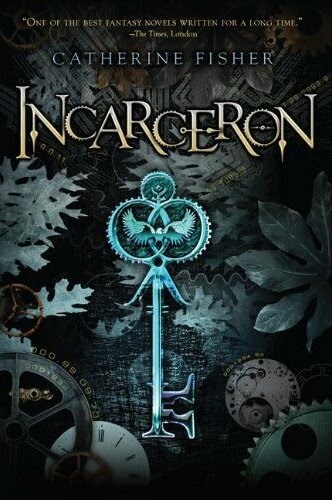 I enjoyed City of Ember, but I thought Incarceron was better. City of Ember is more of a kids book, I think. It was good, though. There are more in the series but I haven't read any others (my library didn't have them and they weren't shelf-worthy to me). New obsessions are great...that is what makes reading so fun for me. I teach City of Ember to my students. They love it, but they are also 6th graders! We do a lot of code working with this novel which heightens the suspense for them and do a lot of reading by flashlight to simulate being underground/blackouts, etc. I would agree it is more suited for a younger audience, but still enjoyable.